One of the key data points that Amazon provides is in terms of sales is the reports that can be downloaded from the Amazon vendor central. 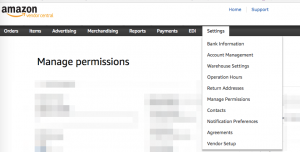 Once you are able to login to vendor central account. Under the settings menu there is “Manage Permissions”. When you select that option you will be taken to a screen where you have to option to add users by clicking on the “Add User” button. You should be able to add email for which you would like to provide the access. There 2 kinds of access that you can provide to your agency or technology partner. 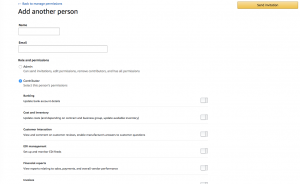 “Admin“ which has access to can send invitations, edit permissions, remove contributors, and has all permissions or “Contributor” where in you can select what access you would like to provide. At Intentwise, we provide an AI based AMS optimization platform. With its automated reporting, diagnostics and recommendations, it is the fastest way to manage and grow your AMS channel. If you are interested in trying out the platform, schedule a Demo now!